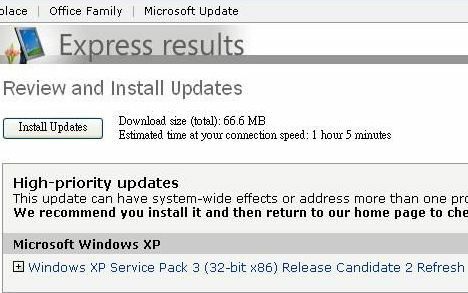 Windows XP Service Pack 3 Release Candidate has been updated to Release Candidate 2 Refresh (XP SP3 RC2 Refresh), as announced in TechNet forum. With the release of Windows XP SP3 RC2 Refresh build version 5508, the previously leaked Windows XP SP3 v.5503 has proven not to be a final RTM version. Indeed, it confirms that the jump in build number is intended by Microsoft for unknown reason, even though Chris Keroack from Windows Serviceability Team said there are no substantial differences between this beta release (build 5508) and XP SP3 RC2 (build 3311). Windows XP SP3 RC2 Refresh release is aimed to validate improvements to the Windows Update experience with Service Pack 3, where it fixes common Windows Update issues and includes support for HD Audio. Meaning that Microsoft is not testing the result of rolling out the service pack via Windows Update, probably indicating impending release of final RTM version of SP3 is near. As a result, Windows XP SP3 RC2 Refresh build v.5508 beta release is only available on Windows Update, in English, German and Japanese languages. To get the Windows XP SP3 RC2R version 5508 from Windows Update, users will need to add in the same registry key that allows Windows Update to detect that the system is a target to install Windows XP SP3 RC2. Download Windows XP SP3 Release Candidate 2.exe, a self extracting archive that contains XPSP3_RC2.cmd, the command script that hacks the registry so that the system becomes the service pack target install machine. (Note that the executable auto extract to user’s Temp directory, if you can’t find the file, download the batch script directly). After installing Windows XP SP3 RC2 Refresh v.5508, the operating system will have build version 5.1 (Build 2600.xpsp.080320-1628 : Service Pack 3). It’s also speculated to be a RTM release, as in System Properties, there is not build version been shown too, with only “Service Pack 3” been displayed. Other requirement for the registry hack to install Windows XP SP3 RC2 Refresh is that the system to upgrade must be Windows XP SP2, and test versions build to build upgrade are not supported for this beta release. 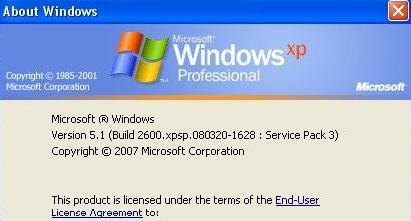 So for XP system installed with earlier beta or release candidate version of SP3, uninstall the previous beta or RC. Again, remember that this beta release is pre-release software for testing purposee. The RC2 Refresh is time limited and will expire in a future date. For more information on Windows XP Service Pack 3, read the Overview of Windows XP Service Pack 3, and Windows XP SP3 Release Notes. Update: Windows XP SP3 Final Build 5512 released.